The convenient Blue/Violet 2in1 Laser Star Projector will remove the resent out of presentations.The laser pen is with High quality and perfect design. The small size of Blue/Violet laser pen allows you to carry the laser around with ease as a regular pen in your pocket. no set up needed, you can put it anywhere anytime you want, especially for party, it makes the party fascinating. You can even use it to decorate the sky at the night. Simply press the laser beam button to drive laser pointer, at the same time, turn the cap, laser beam will emit directly from the laser output aperture. You will see sophisticated Blue/Violet laser technology filling an entire room with thousands of moving stars and cloud formations. You will see sparkling stars change variously in the sky. The Blue/Violet laser pen is built with high quality and perfect design. 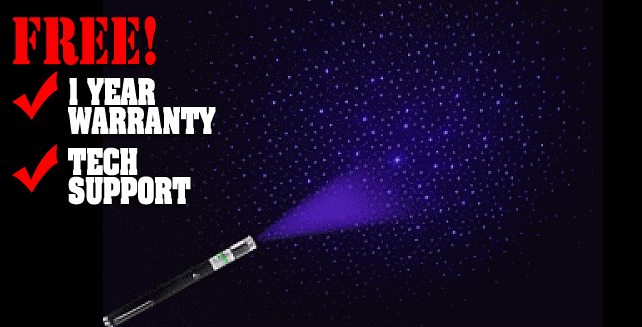 The small size of green laser pen allows you to carry the laser around with ease as a regular pen in your pocket.